Approximate weight per package: 0.75 Lb. Each tray has 1 lamb shoulder chop. 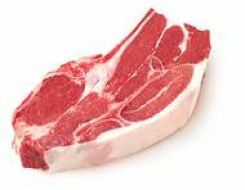 Economical and incredibly juicy, with deep, rich lamb flavor and texture. They're versatile and worry-free. Like their pricier cousins from the rib, they can be grilled with excellent results. They also taste great marinated or braised.